Alternate member of the Riigikogu Tarmo Mänd took the oath of office before the Riigikogu today. He replaces Urve Tiidus who was appointed the Minister of Culture. The Riigikogu approved with 75 votes in favour the Act on Amendments to the Public Procurement Act and the Code of Administrative Court Procedure (474 SE), initiated by the Government. The Act ensures more specific regulation of this sphere so that contracting authorities would have an opportunity to make more effective use of the institutions of the dynamic purchasing system and framework agreement provided for by law. It eliminates the ambiguities concerning the application of the standstill period upon the awarding of public contracts under the framework agreement and based on a dynamic purchasing system, and the identification of the ineffectiveness of a public contract later. Also, the regulation concerning the time limit for applying for review is specified. 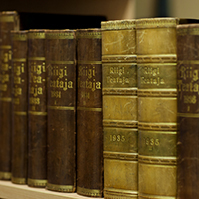 The Riigikogu approved with 77 votes in favour the Act on Amendments to the Insurance Activities Act, the Auditors’ Activities Act and the Investment Funds Act (475 SE), initiated by the Government, the main aim of which is to ensure effective functioning of the system of governance of insurance undertakings. The current Act provides only minimum regulation of the requirements for the management of insurance undertakings; therefore, the requirements for the system of governance are amended, including the risk-management system and internal control system of insurance undertakings and the regulation relating to the outsourcing of insurance-related activities. The ancillary activities of insurance undertakings are also regulated in more detail and the amounts insured by liability insurance contracts of insurance brokers are increased. 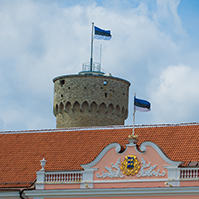 The Riigikogu approved with 69 votes in favour (1 against and 1 abstention) the Act on Amendments to the Act on Granting International Protection to Aliens and Amendments to Other Associated Acts (509 SE), initiated by the Government. The Act is motivated by a European Union directive. It provides minimum standards for the qualification and status of third country nationals or stateless persons as refugees or as persons who otherwise need international protection and the content of the protection granted. The main aim of the Directive is to ensure, on the one hand, that Member States apply common criteria for the identification of persons genuinely in need of international protection. And, on the other hand, that a minimum level of benefits is available for those persons in all Member States. The amendments will help to limit the secondary movement of applicants for international protection between Member States, where such movement is purely caused by differences in legal frameworks. 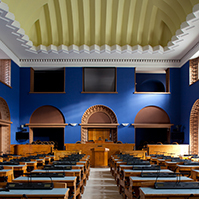 The Riigikogu approved with 76 votes in favour the Act on Amendments to the General Part of the Economic Activities Code Act and Other Acts (504 SE), initiated by the Government. The Act postpones the deadline for the entry into force of the general part of the Code until 1 July 2014. Accordingly, amendments are also made to the Health Care Services Organisation Act and the Security Act. The postponement of the deadline for the entry into force was necessary in order to ensure that two Acts which are important for the whole sphere, the General Part of the Economic Activities Code and the Maintenance of Law and Order Act, could enter into force without problems. These are interrelated spheres that overlap in regard to the exercise of state supervision. The Riigikogu approved with 56 votes in favour (13 against and 3 abstentions) the Act on Amendments to the State Fees Act and the Traffic Act (496 SE), initiated by the Government. The Act specifies and updates the regulation relating to acts of the Estonian Road Administration in the State Fees Act and the Traffic Act. The Act reduces the rates of the state fees for the consumption of e-services of the Estonian Road Administration by 20%. At the same time, the rates of the state fees for acts performed in the offices of the Estonian Road Administration increase. The Act is intended to reduce misuse of the regulation concerning the manufacturing of more than ten registration plates on the application of the owner. Also, no state fee is charged upon the issue of traffic register data on the basis of an extended enquiry. The principles of calculating the state fee for enquiries to the traffic register are transferred to new grounds. The terminology of the acts defined in the Act is also specified. The rate of the state fee for the registration of trailers is reduced from 121.43 to 63 euro. The state fee for the registration of a vehicle increases from 127 to 128 euro, and the state fee for the issue of a registration plate increases from 60 to 62 euro. The state fee for the amendment of register data in the offices of the Estonian Road Administration increases from 60 to 61 euro. The state fee for the submission of an application for amendment of register data in e-service remains unchanged. The Riigikogu approved with 71 votes in favour the Act on Amendments to the Income Tax Act (492 SE), initiated by the Government. It provides for a rise of the increased basic exemption rate in case of a pension by 216 euro, that is, by 18 euro per month. As of 1 January 2014, the increased basic exemption in case of a pension will be 2520 euro per year. The aim of the amendment is to ensure that the average pension continues to be exempt from income tax. The provisions which would have changed the procedure for compensating for service or employment related use of a personal automobile and the calculation of the price of the fringe benefit for the use of an automobile of the employer for activities not related to employment or service duties were omitted from the Act. 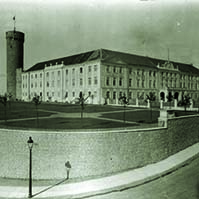 The Riigikogu did not pass the Draft Resolution of the Riigikogu “Making a Proposal to the Government of the Republic” (503 OE), initiated by the Estonian Centre Party Faction. 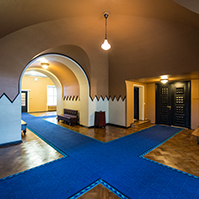 The Resolution was intended to make a proposal to the Government to prepare, by 1 June 2014, the legal basis for extra-judicial adjudication of disputes of apartment associations. The result of voting: 27 votes in favour, 3 votes against, 1 abstention. 51 votes in favour were needed for the Resolution to be passed. 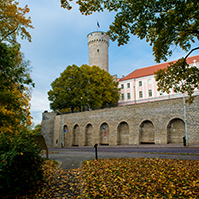 The Bill on Amendments to the Republic of Estonia Principles of Ownership Reform Act and Amendments to Other Associated Acts (480 SE), initiated by the Government, was excluded from today’s agenda.